Johnson’s Washington Oregon and Idaho. This is a magnificent 1864 hand colored map depicts Washington state, Oregon and Idaho. 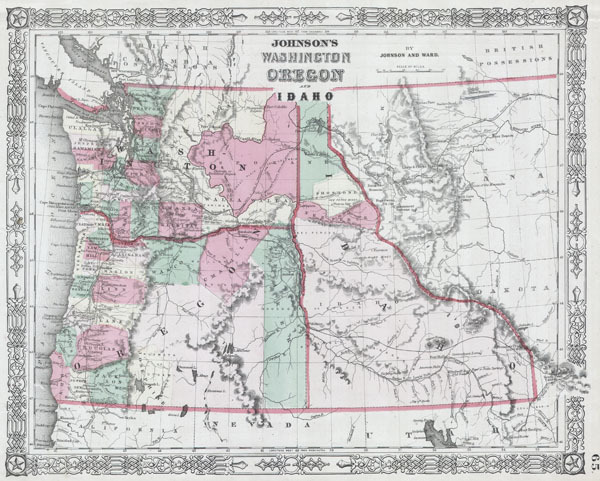 This is a rare variant upon the same 1864 Johnson's map issue earlier in 1864, due to the defined Idaho-Montana border. This suggests that this map was issued late in 1864 following the formation of Montana. Very good condition. Minor repaired closed on bottom right and on the left side. Text on verso.